With over 30 years’ experience of the property market Max began his career in 1981, in the Country Homes market of Northamptonshire and Leicestershire. 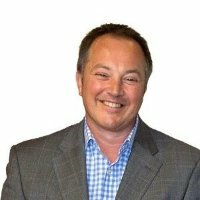 Following a long and highly successful stint with two of the UK’s largest and most successful corporate agents, working in diverse disciplines and locations from London to Central Cambridge, Milton Keynes and Yorkshire, Max has an in-depth knowledge of the property market both locally in North and West Yorkshire and nationally. He is therefore well placed to give the very best advice to his clients when it comes to moving house. Outside work Max enjoys Rugby, Golf, Tennis & Squash– watching and playing (whenever his hectic schedule permits!) skiing and scuba diving. He has 2 young sons who are also sports mad.